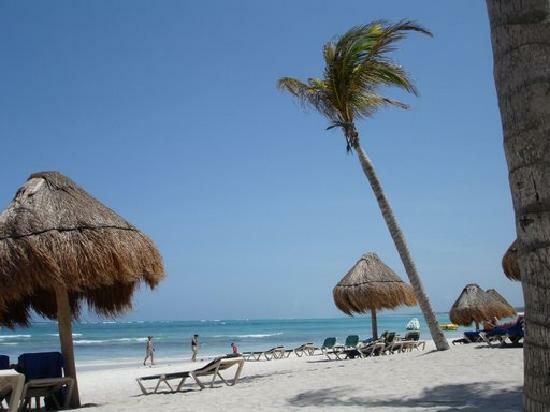 Maroma Beach: Maroma Beach photos of the beautiful Caribbean Sea is lined with whispy palapas that gently wave with the breeze from the ocean. Maroma Beach: This breathtaking image of the ocean at Maroma Beach is simply unbelievable. 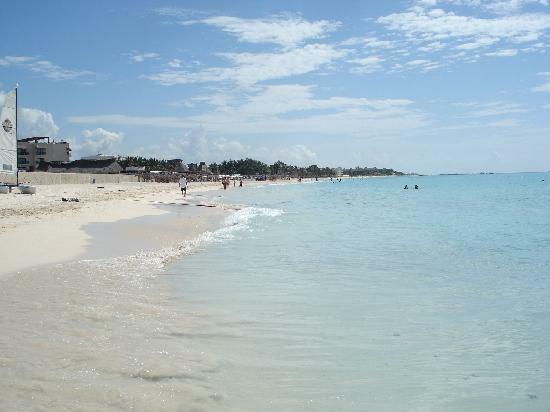 It truly is this clear and the sand is this white and sugary. 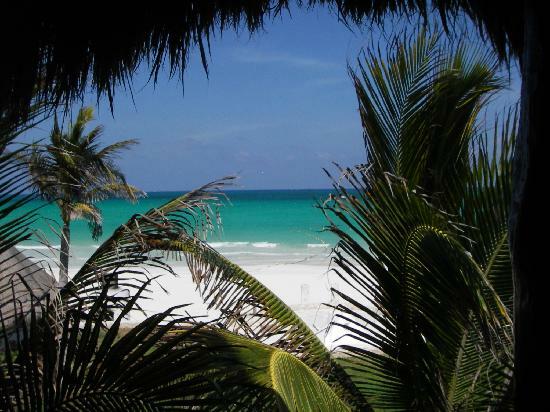 Maroma Beach: Peaking through a window of palm trees, you see the inviting turquoise seas of the Caribbean right outside your doorstep. 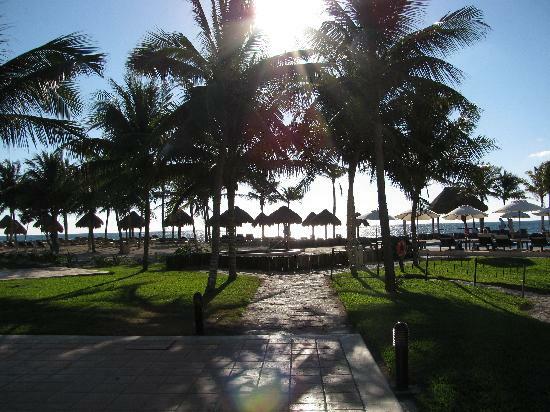 You will be taking lots of beach photos on your trip! 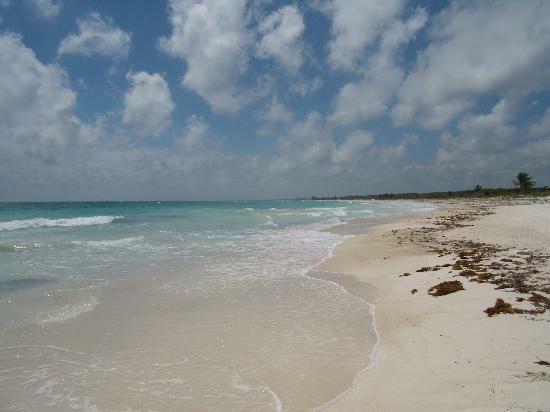 Maroma Beach: You can enjoy long walks on the beach because the shoreline of Maroma Beach is immaculate. 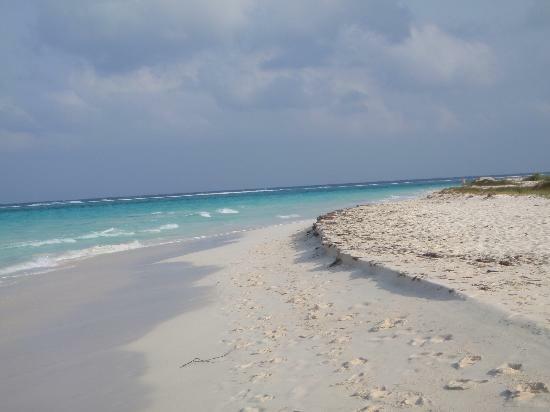 Wide beaches and blue waters. 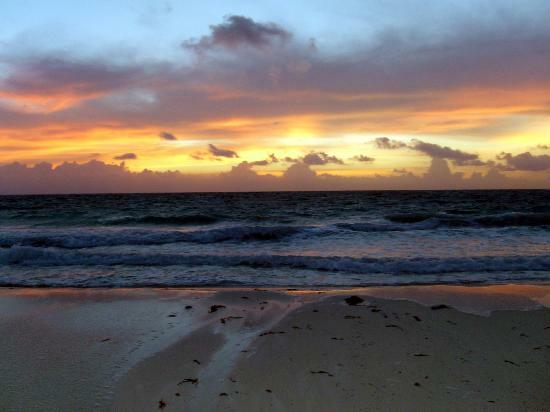 Maroma Beach: Imagine waking up to this sunset overlooking the ocean. 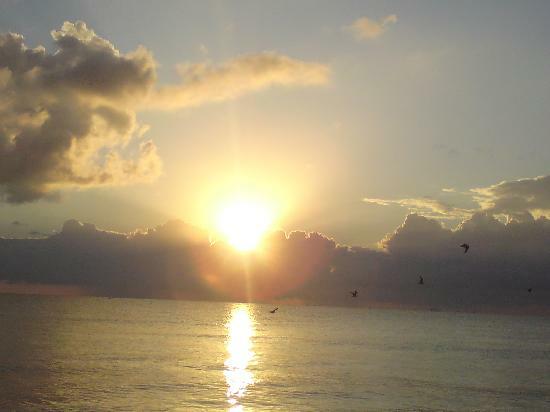 The rainbow of colors fills your mind with imagination. 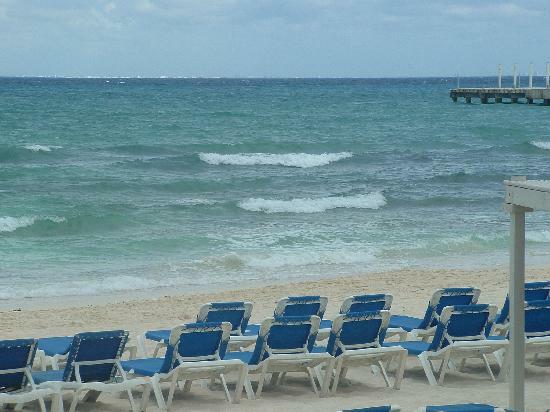 Playa del Carmen Beach: Beach chairs line the ocean giving you plenty of places to relax and take in the beauty of the Playa del Carmen beaches. 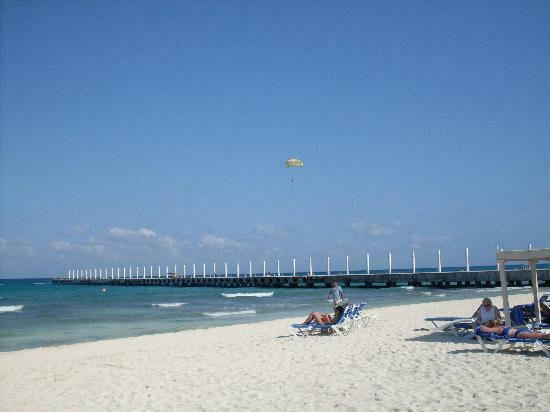 Playa del Carmen Beach: The Pier at Playa del Carmen Beach is perfect for long walks that take you right out into the ocean. Perfect for that romantic walk at night with your sweetie. 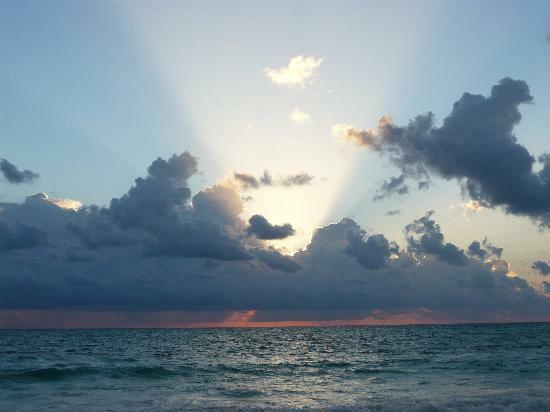 Playa del Carmen Beach: The sunset in Playa del Carmen will take your breath away. 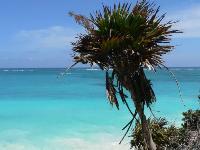 You must see while during your stay here. 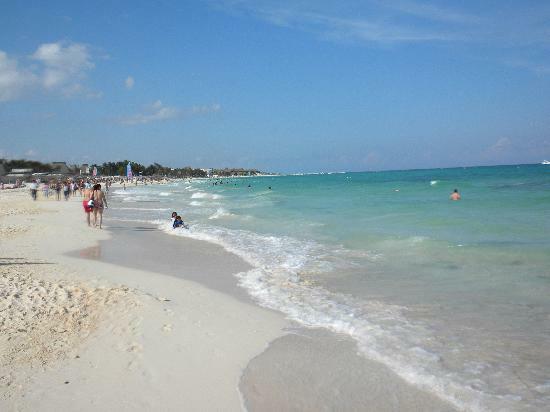 Playa del Carmen Beach: Catch a few waves whether you enjoy swimming in the ocean or surfing a bit! 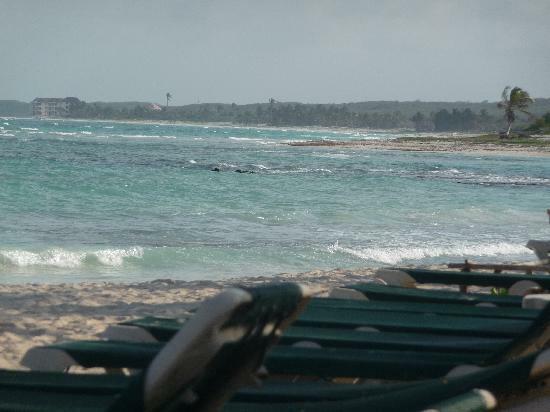 Tulum Beach: Take a ride in a canoe off the Tulum beaches. 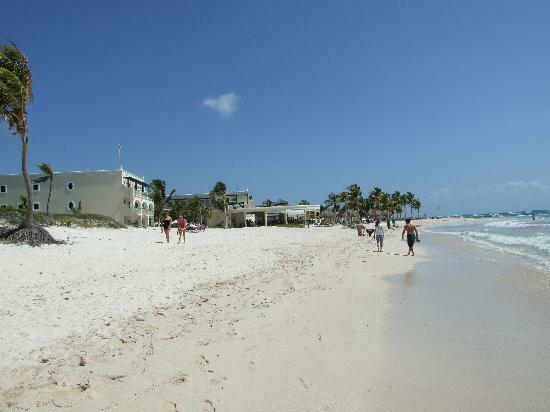 Pure, white sand and nice breezes make for a beautiful day. 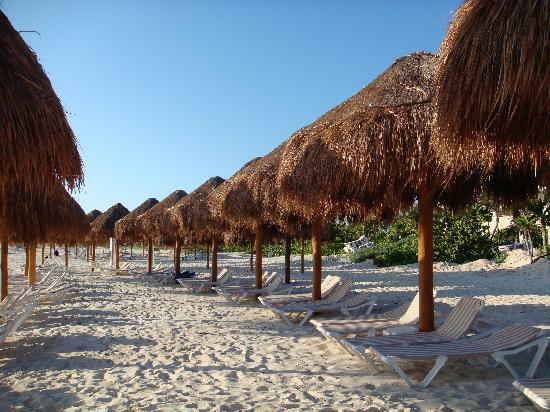 Tulum Beach: Lots of beach chairs to pick from in order to find that perfect viewing spot of this gorgeous ocean! 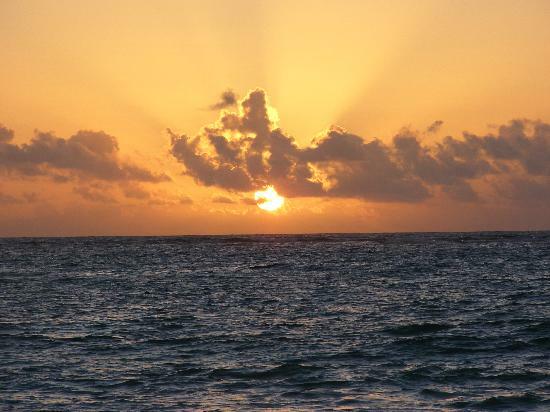 Tulum Beach: Imagine waking up to this sunrise. 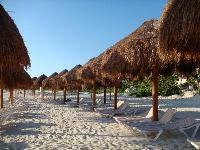 Tulum Beach: The palm trees sway in the soft breeze of Tulum Beach. Tulum Beach: The bright blue sky filled with white fluffy clouds. Yes..they are real. 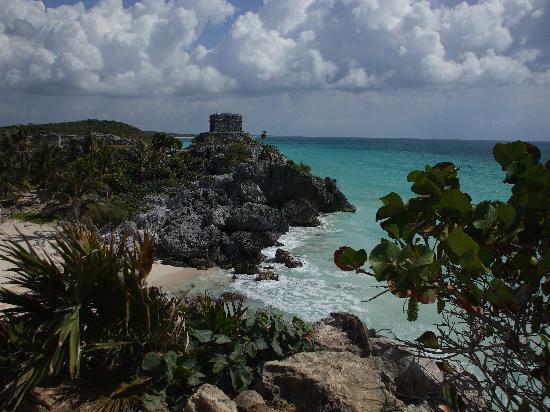 Tulum Beach: The mix of greenery and ocean blue make for a picturesque moment. Tulum Beach: Sunrise at Tulum Beach is worth getting up early for. 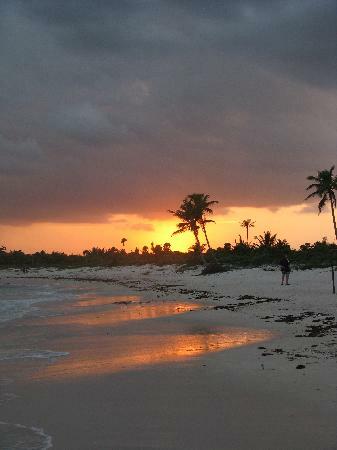 Tulum Beach: Just before dinner, take a walk to enjoy the sunset as it will be a moment worth savoring. 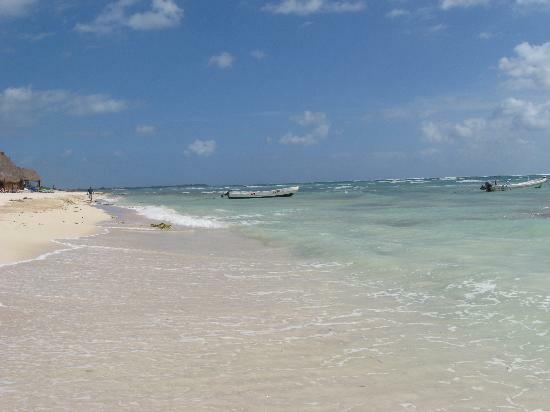 Tulum Beach: Yes, the sand is actually white. Amazing isn't it!